Michael Hill has worked within the Superbike World Championship paddock for more than 10 years and is recognised by many as the face of the Paddock Show. With experience presenting and reporting on two and four wheeled motorsport 2013 saw Michael expand his already impressive services portfolio. Rider logo & identity design together with other promotional products were added to an already extensive list of media and promotion services for the motorsport industry and many riders / drivers took advantage. 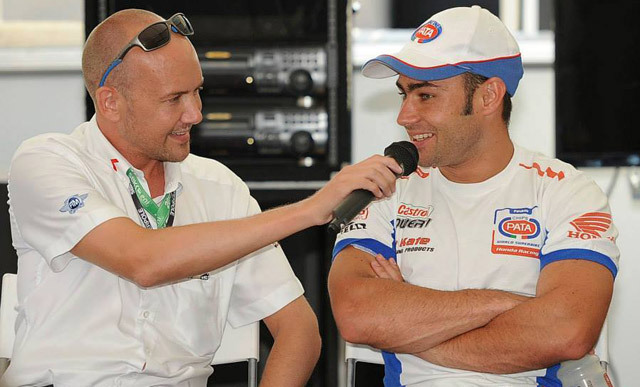 In addition to expanding his own MHP brand Michael became the official WorldSBK Paddock Show host and Podium TV Interviewer, as well as the host of the media events prior to each World Superbike Championship round in 2014. He also had the honour of hosting the official end of season gala award ceremony in Jerez, something he is particularly proud of. Michael continued this role for a 3rd year in 2015, but with expanded responsibilities that saw him presenting a number of trackside video features and rider interviews as well as hosting the official pre-event Press Conferences, Paddock Shows throughout the weekend, and the end of season gala award ceremony. He also returned to commentating ‘live’ on the European Junior Cup races, broadcast around the globe. 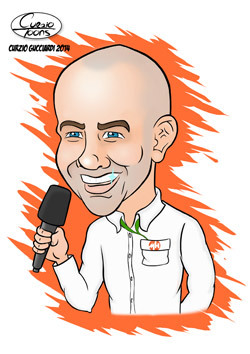 2016 saw Michael develop his skills further becoming the co-ordinator and host of all fan activity within the Paddock Show of the Superbike World Championship whilst continuing to provide media and management services to riders within the MotoGP, WorldSBK, CEV and BSB paddocks. A continuation of his role within WorldSBK for 2017 and 2018, Michael also worked within the MotoGP paddock during this time, hosting the main stage within the VIP Village for the Losail International Circuit in Qatar. He is proud to be associated with Two Wheels For Life, and will host the annual Day of Champions at the British MotoGP for a second consecutive year in 2018.